Description Cataplana is both the name of a food and the pan it is cooked in. 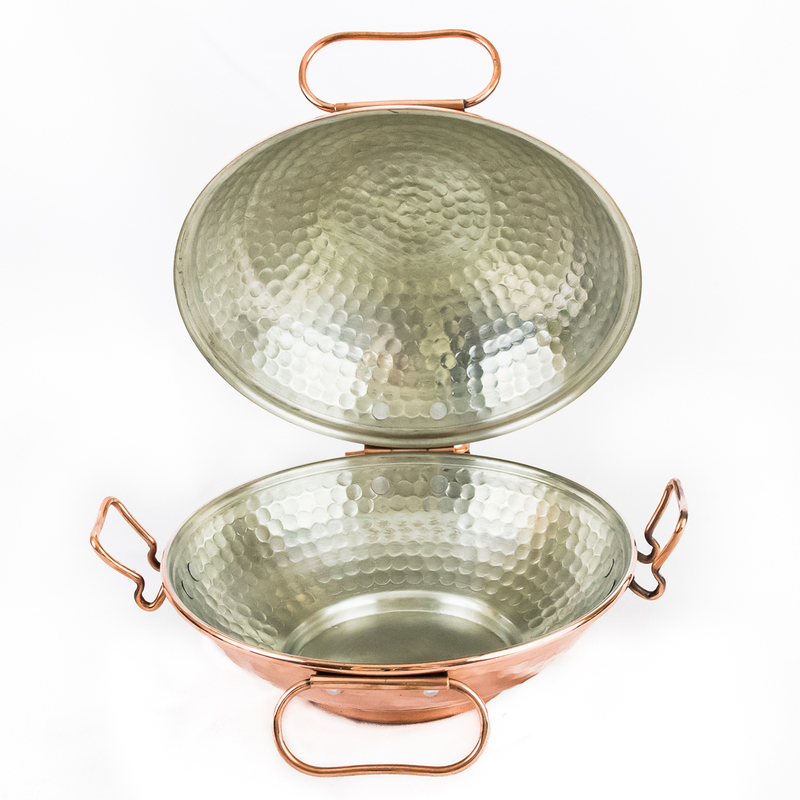 The best way to describe the Portuguese Cataplana pan is as two copper bowls hinged together at one end, creating a tight seal that allows the steam from cooking to be retained in the vessel, acting similar to a pressure cooker which cooks food very quickly. Our Portuguese Cataplanas are hand hammered copper with copper hinges, handles and closure clamps. The inside is lined with tin and has a flat bottom which makes the pot very sturdy while cooking. This combination of copper and tin make these pots excellent heat conductors, thus requiring less energy. They are 13 inches x 13 inches x 6.5 inches, and 11.5 inches in diameter.